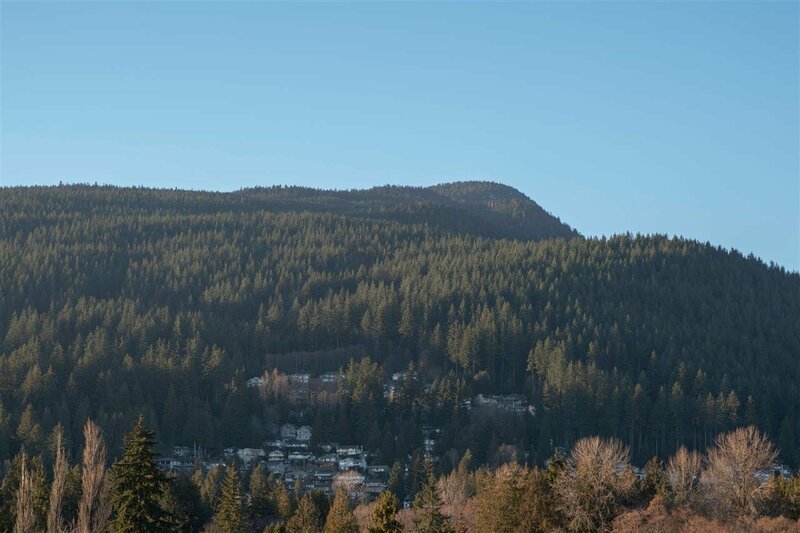 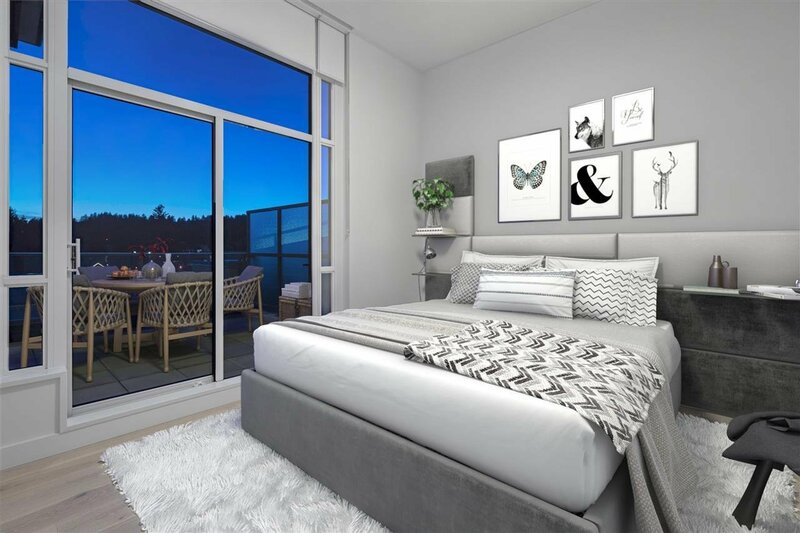 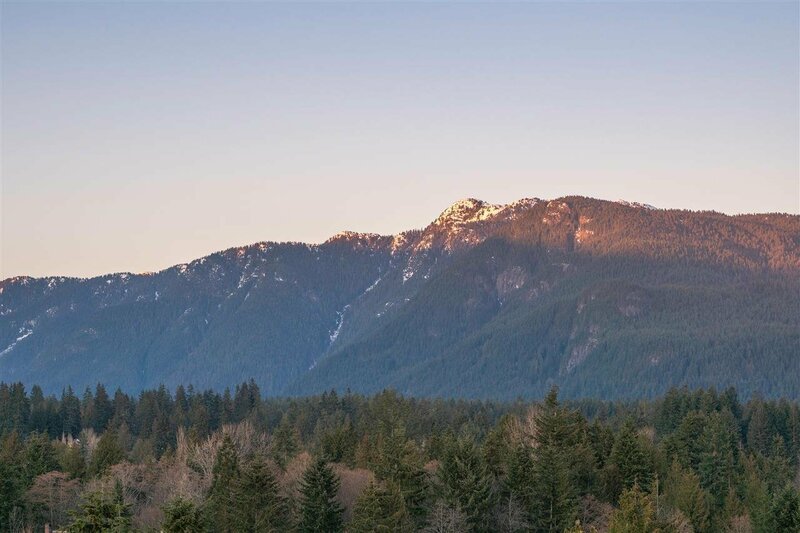 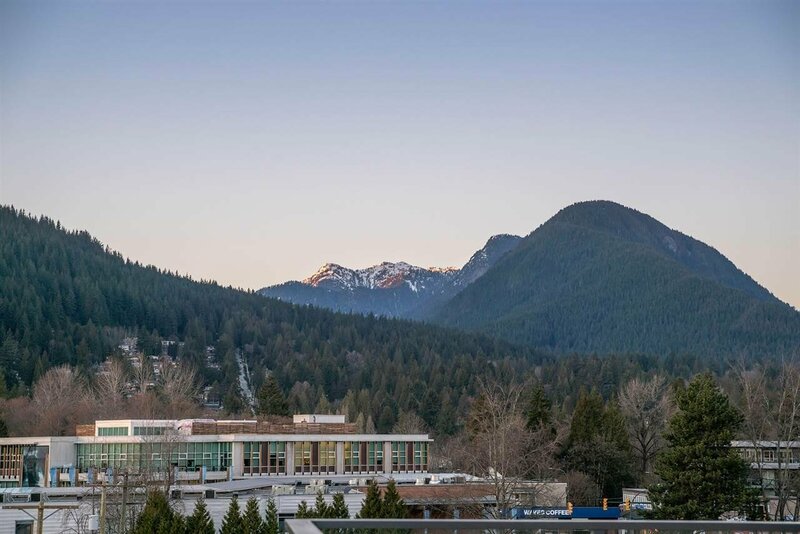 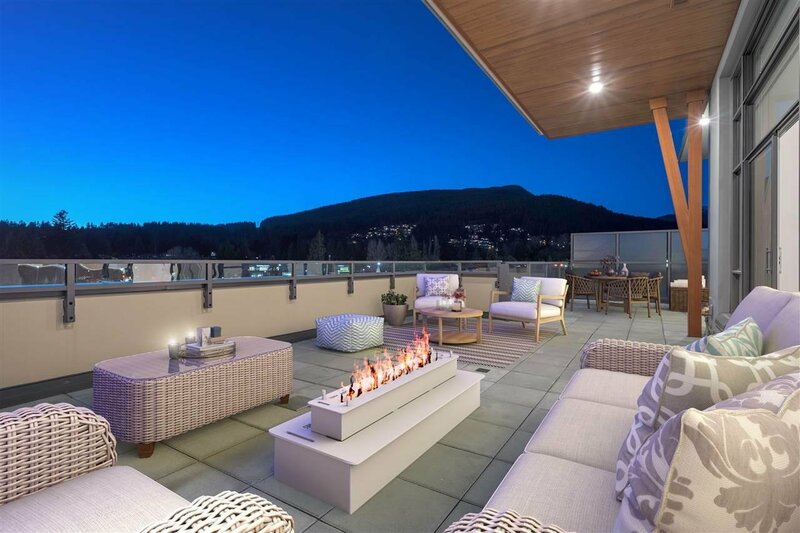 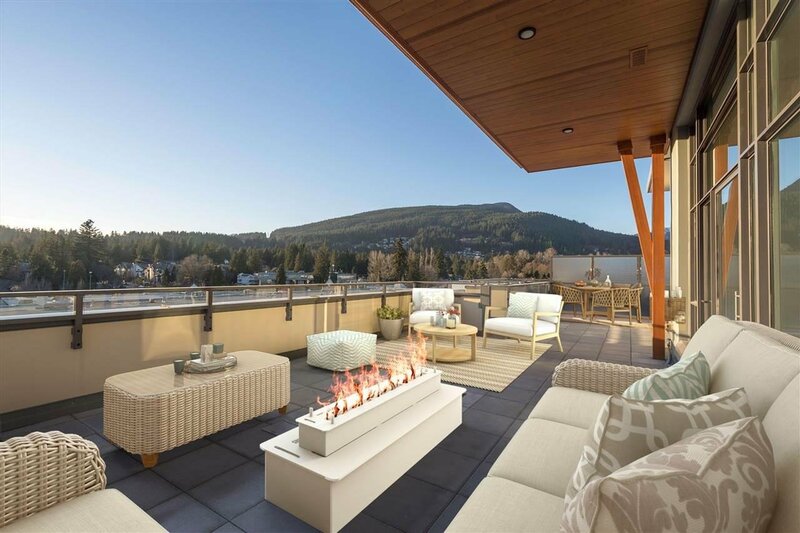 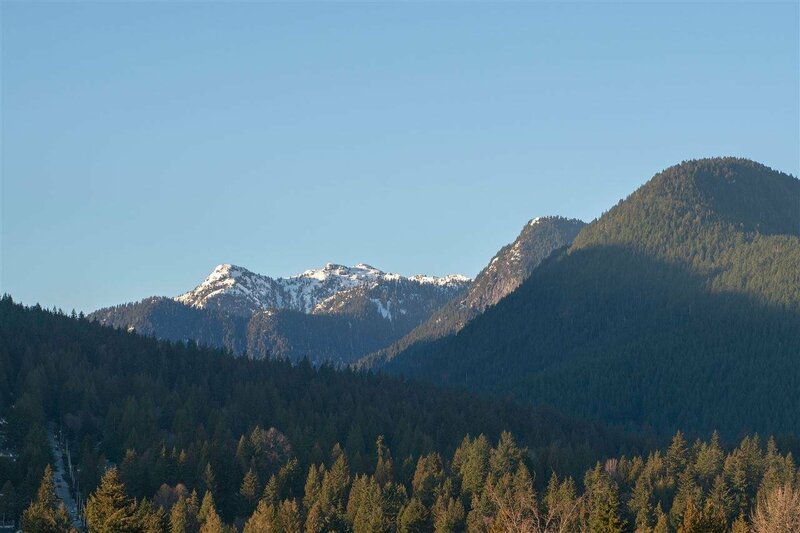 PENTHOUSE living at its finest - The Residences at Lynn Valley by Bosa Development. 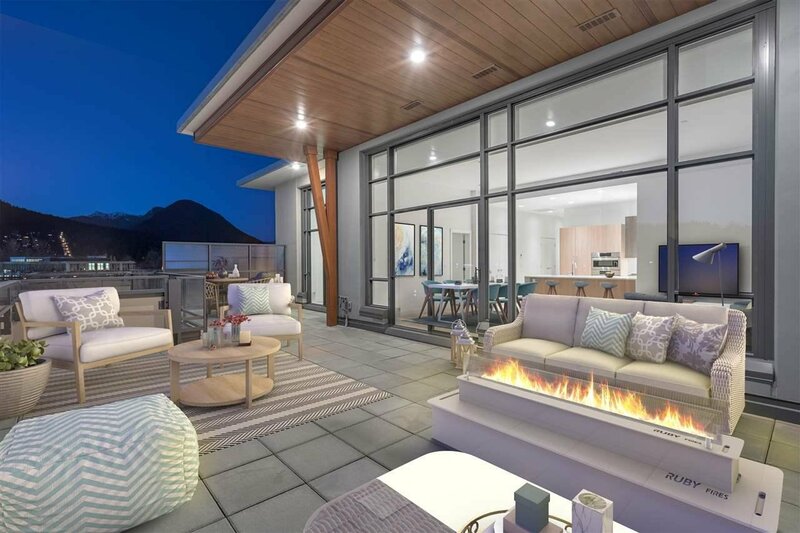 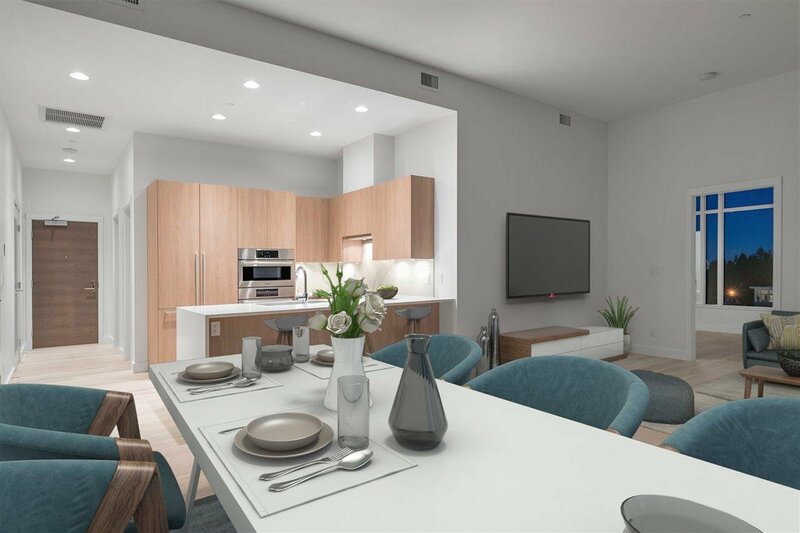 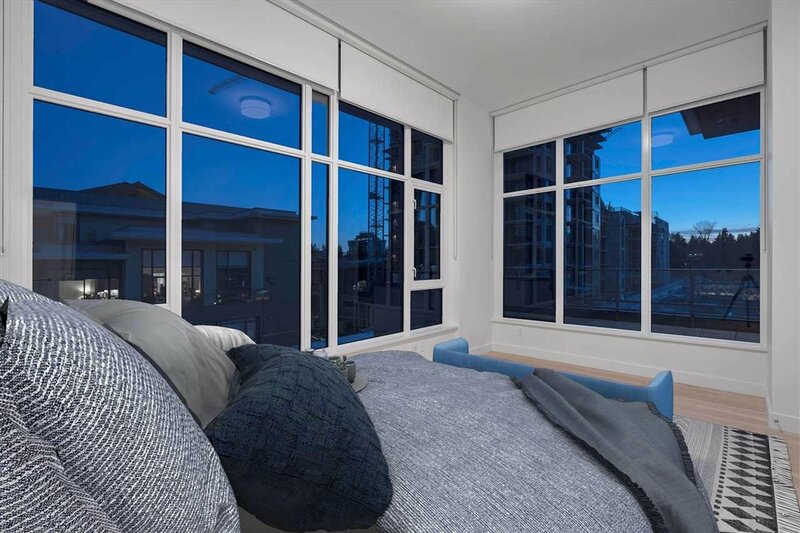 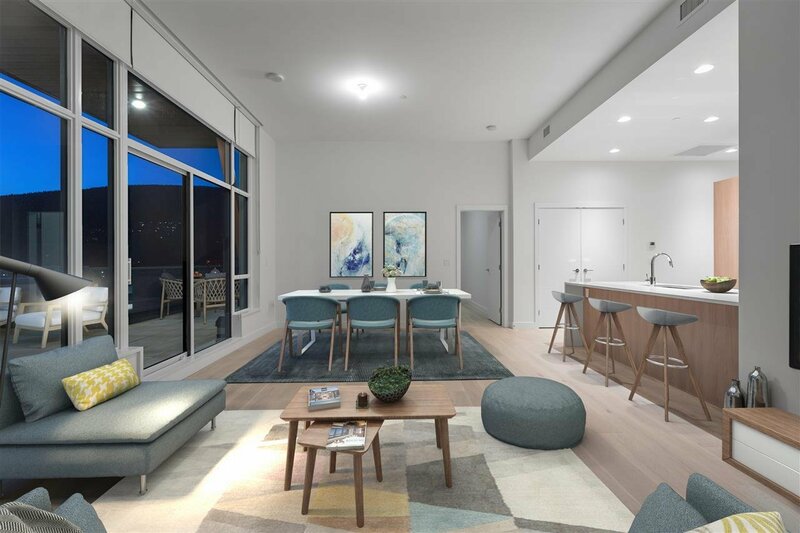 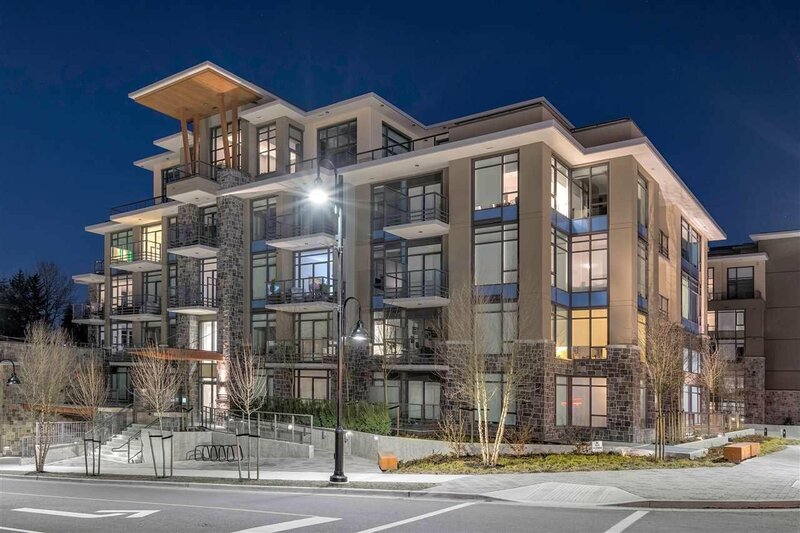 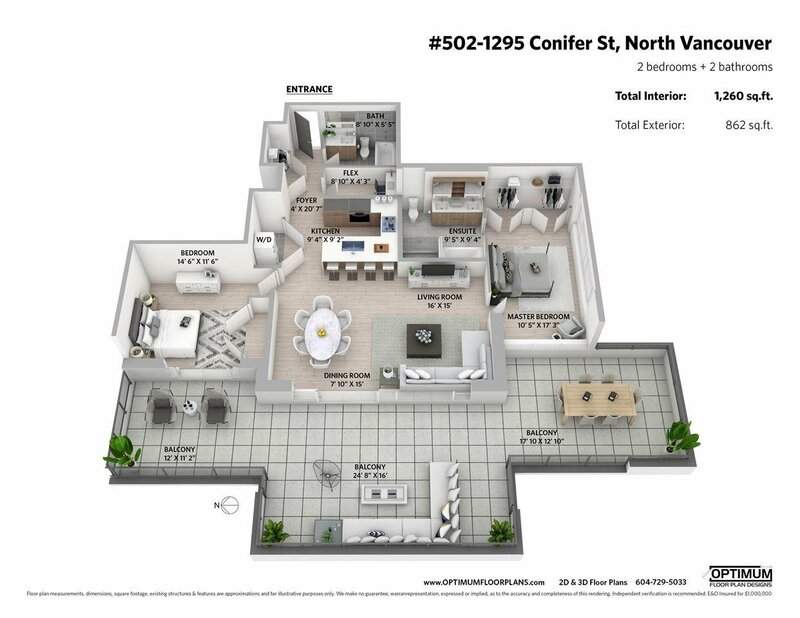 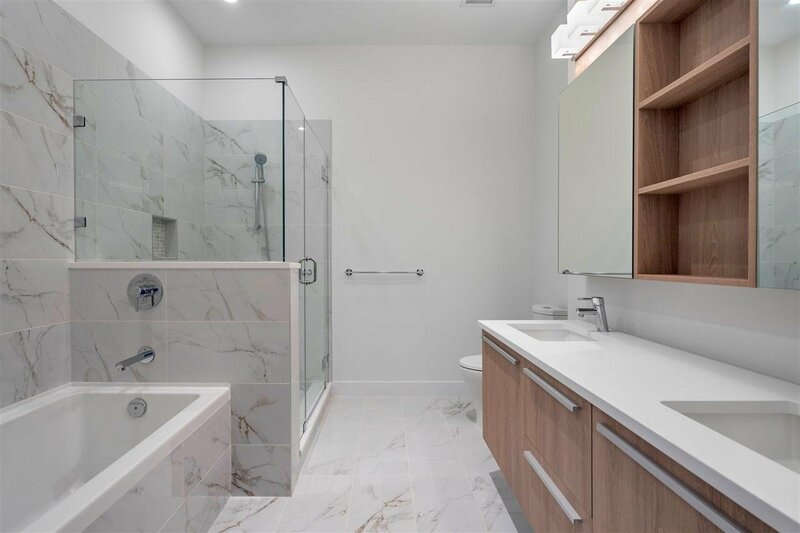 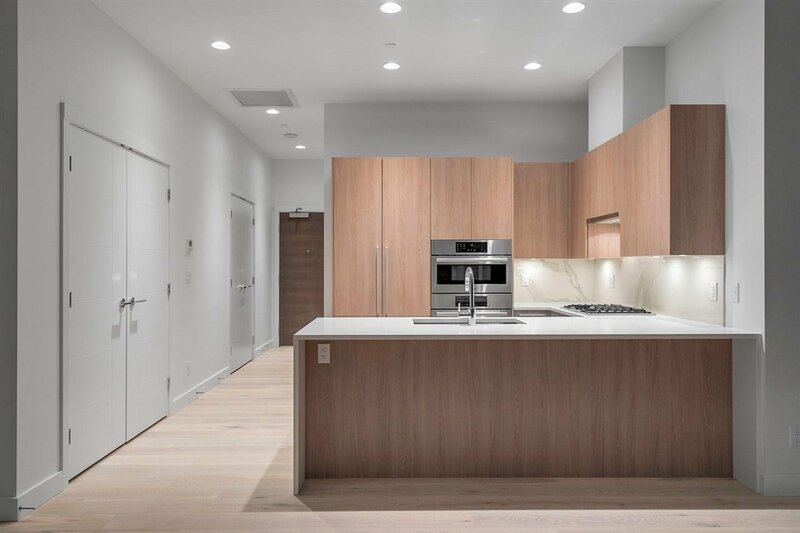 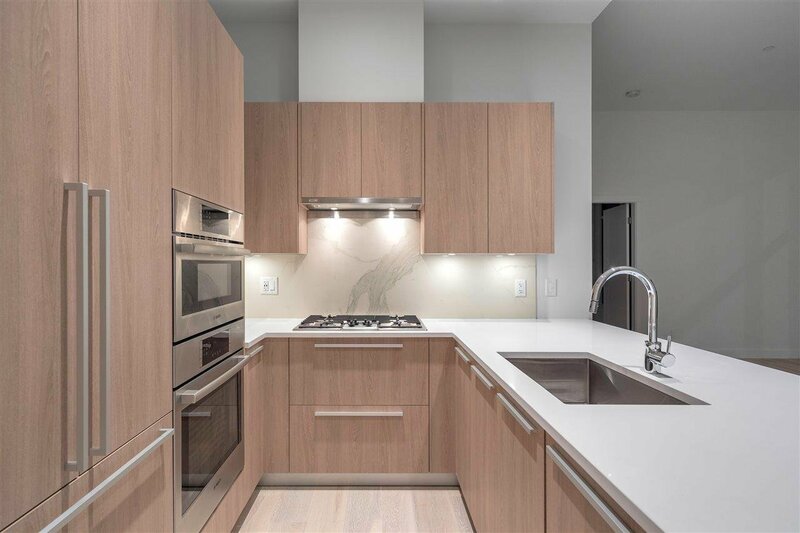 This expansive 2 bed + flex, concrete residence offers over 2000 sf of combined interior/exterior living, the most ideal layout for downsizers transitioning into condo living in this exciting & amenity rich community. 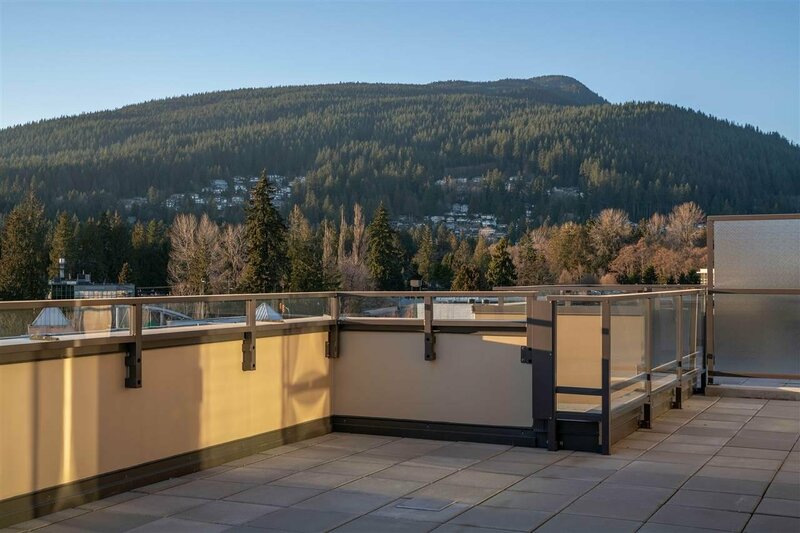 Enjoy sunsets & mountain views from your N/S/W exposed 860 sf terrace equipped with gas hook-ups. 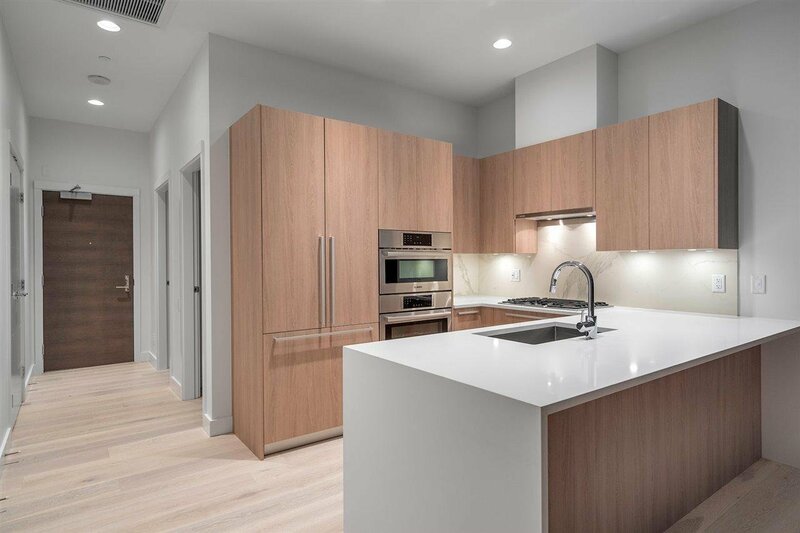 Spacious interior is ideal for hosting with nearly 1300 sf of living space, gourmet kitchen feat integrated Bosch appliances, A/C, spa-like baths, bedrooms w/ upgraded wide plank hardwood & over-height vaulted ceilings in living & dining room. 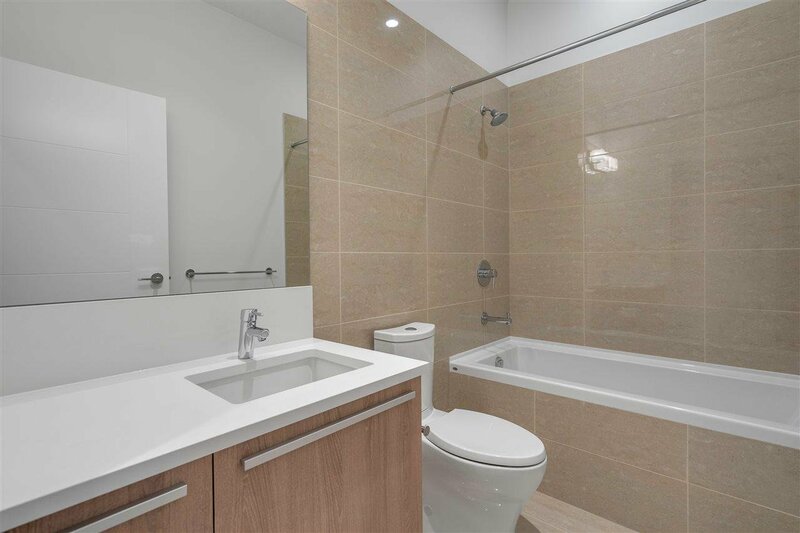 Amenities include gym, social lounge, dog wash and bike storage. 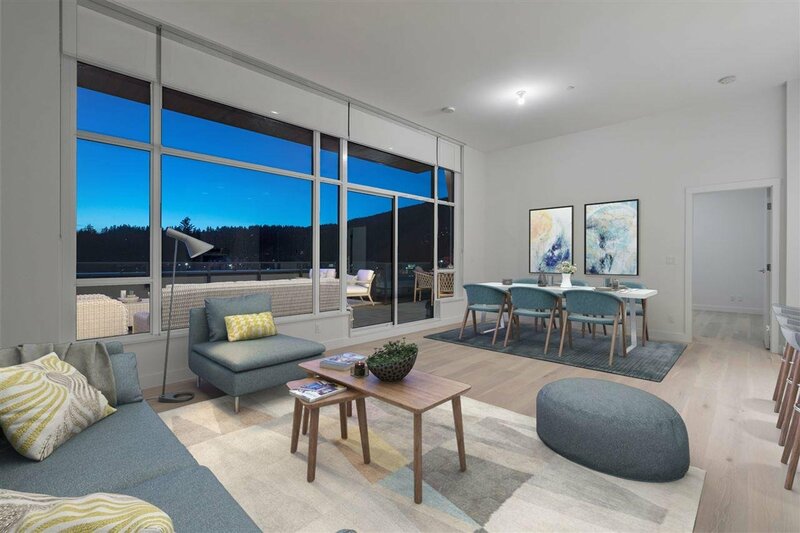 2 parking side by side and storage!